Outside Poly Storage Building For 55 Gallon Drums. Securely store up to four 55 gallon drums with our outside poly storage building. 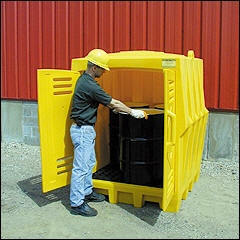 The chemical storage container features four-way forklift pockets, vented door louvers, 62 gallon spill capacity, removable grating and top hooks for moving. Note: top hooks are only for moving the building when empty. Prevent oil runoff and keep your workplace safe and compliant with this spill containment pallet, made of 100% polyethylene construction. This storage building is 100% polyethylene construction. It will resist corrosion, weathering, UV rays and is compatible with most aggressive chemicals. Bright yellow color makes the chemical storage building visible for forklift and truck drivers. The pallet has a UDL load rating of 8000 lbs. and fits optional ramp Model 1689. Dimensions, sump capacity, load capacity and weights noted below in Description. Optional poly pallet ramp for spill pallet. 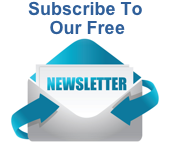 40 CFR 264.175 - See Federal Regulatory Compliance Summaries here. 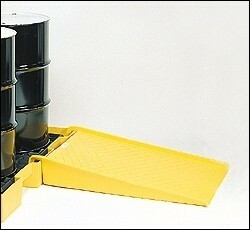 Ramp for Storage Building Dimensions - 45.5"x32"x8"
Shop AbsorbentsOnline.com for all your Spill Containment Needs!